DNA as well as RNA are normally visualized by staining with ethidium bromide, which intercalates into the major grooves of the DNA and fluoresces under UV light. The ethidium bromide may be added to the agarose solution before it gels, or the DNA gel may be stained later after electrophoresis. Destaining of the gel is not necessary but may produce better images. Other methods of staining are available; examples are SYBR Green, GelRed, methylene blue, brilliant cresyl blue, Nile blue sulphate, and Crystal Violet, SYBR Green, GelRed and other similar commercial products are sold as safer alternatives to ethidium bromide as it has been shown to be mutagenic . SYBR Green requires the use of a blue-light transilluminator. DNA stained with crystal violet can be viewed under natural light without the use of a UV transilluminator which is an advantage, however it may not produce a strong band. When stained with ethidium bromide, the gel is viewed with an UV transilluminator. 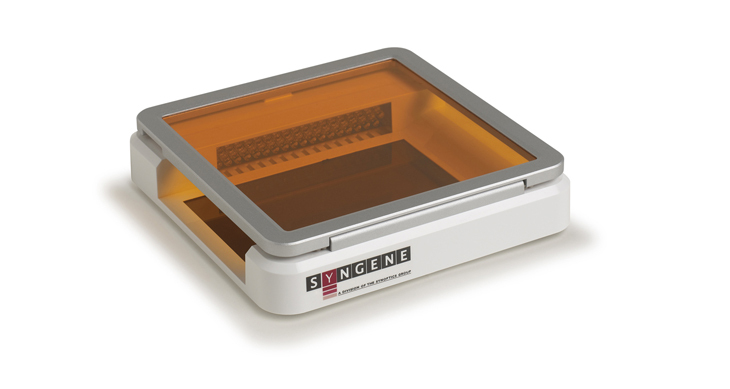 Standard transilluminators use wavelengths of 302/312-nm (UV-B), however exposure of DNA to UV radiation for as little as 45 seconds can produce damage to DNA and affect subsequent procedures, for example reducing the efficiency of transformation, in vitro transcription, and PCR. Exposure of the DNA to UV radiation therefore should be limited. Using a higher wavelength of 365nm (UV-A range) causes less damage to the DNA but also produces much weaker fluorescence with ethidium bromide. 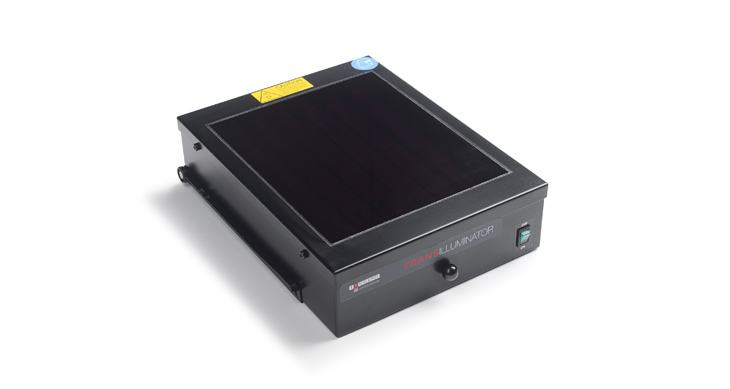 Where multiple wavelengths can be selected in the transillumintor, the shorter wavelength would be used to capture images, while the longer wavelength should be used when it is necessary to work on the gel for any extended period of time.